George Clooney readily concedes he’s an actor, not a diplomat, but he’s once again traveled to Sudan to use his leverage as a celebrity to bring awareness to the possibility of another bloody conflict as the country is positioned to split itself in two. 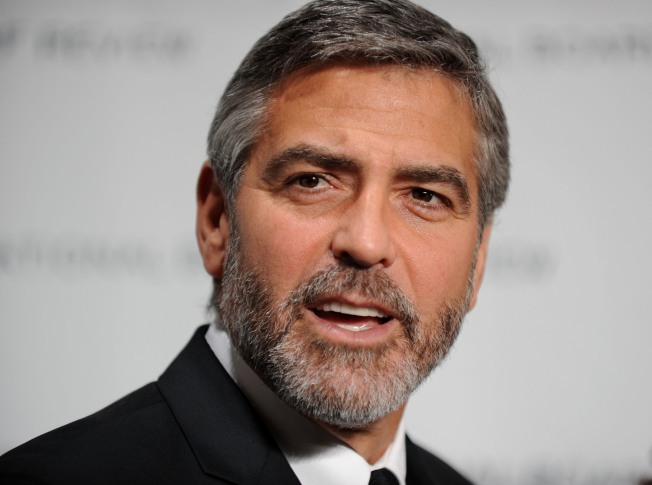 In an interview on TODAY Tuesday with Ann Curry — who accompanied Clooney on his weeklong trek through south Sudan — Clooney said he remains optimistic that a civil war can be avoided as the predominantly black African south fosters its own nation. The people of south Sudan vote Jan. 9 on whether to secede from the Arab-Muslim north, and U.S. groups are already making a presence in hope of avoiding a repeat of the bloody, 21-year civil war that left nearly 2 million people dead. The U.N. Security Council, the United States Holocaust Memorial Museum and a private group that included Clooney have visited the southern region in the past week. Clooney says a repeat of the genocidal war that rocked the western region of Darfur is indeed in the offing without due diligence. Clooney noted that previous diplomatic work on behalf of Sudan by the U.S. crossed party lines, and he believes no less than another full-on effort by the U.S. is needed to stop a full-scale civil war from breaking out again as Southern Sudan sits on the verge of independence. Already reports have surfaced of a massive military buildup in the north. The high-level visits by U.S. groups are putting the spotlight on the Texas-size area of Sudan that is far less known to Americans than the western region of Darfur, where the mass atrocities were committed over the last decade. “If you knew a tsunami or Katrina or a Haiti earthquake was coming, what would you do to save people?" Clooney asked Curry while traveling in Sudan. Clooney spent the week traveling to remote, conflict-prone areas of Sudan’s south with John Prendergast, a founder of the Enough Project, an anti-genocide advocacy group. One photo posted by Curry on her NBC blog showed Clooney pointing over a field that Curry wrote was the site of a mass grave from 2008. That was in Abyei, a town that was largely burned to the ground after southern and northern armies clashed there, prompting an estimated 60,000 people to flee. The U.N. reported at the time that at least 140 people died. Clooney also visited the town of Malakal, where elements of Sudan’s northern and southern armies have clashed twice since the end of the north-south civil war in 2005. “You don’t have to be doing this ... you could be sipping wine in Italy,” Curry told Clooney, bringing up the fact that he’d had some wild experiences, including being in a small plane during an electrical storm, sleeping in tents and huts overridden with mice and dealing with live frogs jumping out of toilets. Clooney told Curry of his unique interactions with the local people — one being a grandmother who spit on him. For more information on the conflict in Sudan and what you can do, click here.